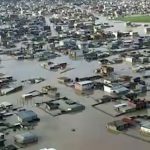 Sixteen days after the first floods appeared in Iran and the clerical regime is still unwilling to disclose the full death toll caused by the disaster. Instead, the mullahs’ response has been one of theatrics and repression. From threatening punishment on any who revealed the full extent of the damages and loss of human life in the crisis to President Hassan Rouhani visit to Khuzestan which surmounted to little more than a photo opportunity, the regime has been absent in any meaningful sense. The People’s Mujahedin Organisation of Iran (MEK) revealed a phone conversation between the head of the Revolutionary Guard Corps (IRGC) ground forces and the Chief of Staff of the Armed Forces, IRGC Brigadier General Bagheri. The conversation revealed the full extent of the flooding and shone a light on the regime’s inaction. He also alluded to the public’s frustrations. “They are very upset, they are very angry,” he said. 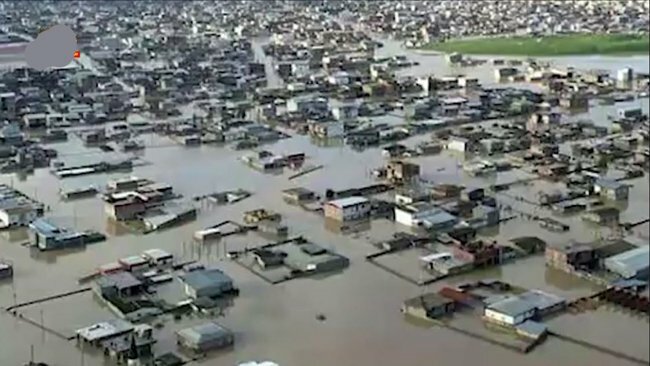 The MEK has already revealed that the death toll from the flooding is now at more than 200. The deliberate deception of the public regarding the loss of life has been consistent across the regime. The commander of the Lorestan IRGC Morteza Kashkouli also spoke of “one death”. The burden of responsibility must fall on the regime’s shoulders. In a statement, president-elect of the Iranian opposition, Maryam Rajavi, described how the regime’s ineffective waterway management and dredging had left parts of Iran vulnerable to flooding. This, coupled with indiscriminate construction around waterways, exacerbated the situation and led to the loss of additional human life. Part of the issue was that Iranian citizens had nowhere to go once they received warning of the incoming waters. Kashkouli criticized the Iranian population. He said: “Despite the anticipation and information and the allocation and equipping of some safe places, some of our fellow citizens preferred to stay in their homes.” But what else could they do? Neither regime officials, nor the IRGC or Basij forces provided safe places for Iranians to go. They had no shelter, no food, no water. They had little choice but to await their fate. In a statement, the president-elect, Mrs Rajavi, stated that the regime must have made the resources and facilities of the army and IRGC available to the public, also it must have facilitated the arrival of international aid and set up emergency channels through which it could reach those that need it.